Had severed all the strings with savage ease. This intimate gift of silence which we know. As storms are guessed from clouds where darkness broods. Reverse their leaves and shimmer through the woods. Of course one wished: an elf would touch his face and release it from all what causes worries and grief. Disciples make? He would look quite stupidly with a lifted face, well that he grows old like another as mortal man. I was going to play basketball at the bottom of this hill. The court was all dry earth like I was in the desert. Then it seemed like some Arabic man had tipped me off that there was someone dying in there and he had him out there. 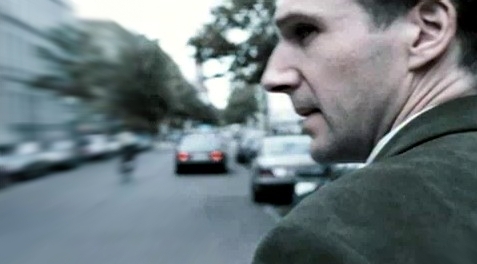 I ran down to go save the man and he turned out to be Ralph Fiennes. He was in this perfect circle of water and the water had reached his nose. I pulled him out of this chair that he was strapped to and he was blue in the face. He was wearing all this Hitler clothing like if Hitler were a cartoon character. He was even wearing Hitler underwear. He told me he was doing this movie about Hitler and the man who put him there was angered by that and tried to drown him. I don’t remember what happened after that but I tried to remember that part of my dream so I could write it down later. I was telling people in my other dreams about the Ralph Fiennes one.